In 2016, we saw many technologies, like hoverboards, virtual reality headsets and drones of every kind emerge. Yet, only a few of the year’s best tapped into the look that decorative overlays provide. The following products are some of our favorite selections. Faraday Future has managed to integrate lighting as a core part of this hyper-futuristic, self-driving car. Decorative overlay is integrated in both the exterior and interior, for aesthetic and practical purposes. The touch screen buttons and lightguides on the doors and dashboard are very well-executed overlays. 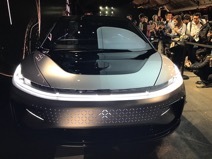 The trademark grill on the FF91 has an otherworldly, glowing quality–also a result of decorative overlay technology. The touch and swipe controls of GE’s 2016 Monogram Cooktop mimic the controls of your smartphone. 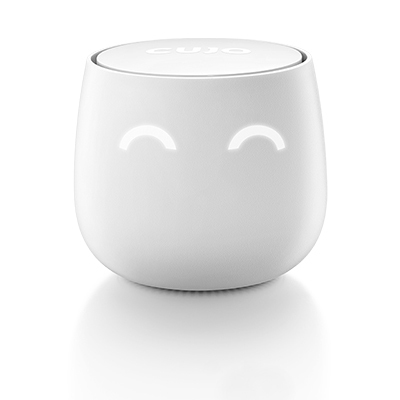 With LED lights, you can change the temperature or setting with a swipe of your finger. It is an innovative and clean design that we will surely see more of in the coming months. 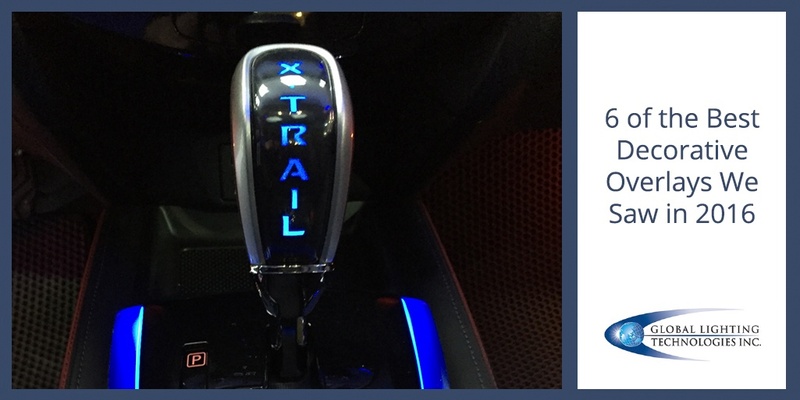 While this feature is not offered at every manufacturer or dealership, many private contractors can install this decorative light to accentuate the emblem on the grill. 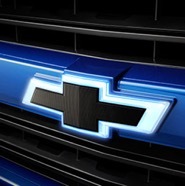 This image is of Chevrolet’s Colorado truck. A decorative overlay for automotive accessories is an upgrade more people are choosing–to distinguish themselves from others on the road. Manufacturers are likely to offer this look in the future. Fascinating decorative overlays continue to progress in 2017. 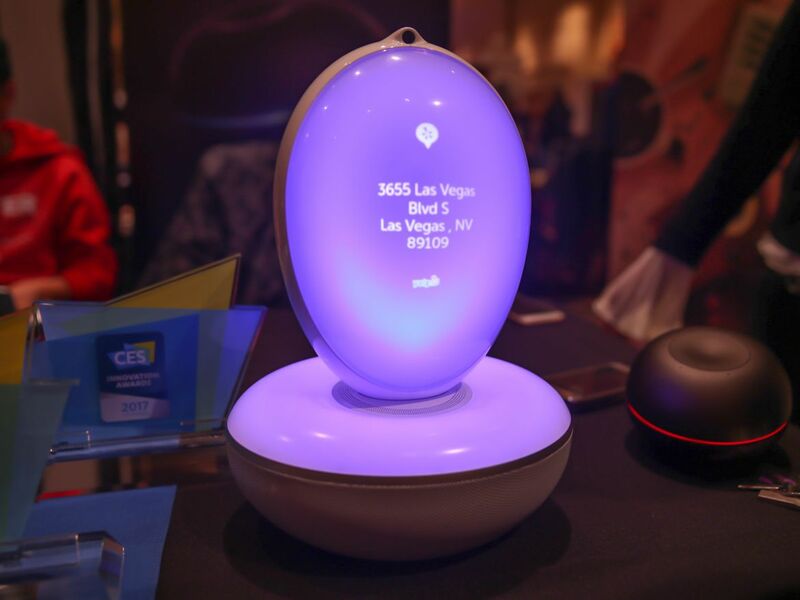 Click the images below from the Consumer Electronics Show 2017, for a taste of what’s to come.